These metal letter opener is finished with a very high quality shiny rhodium plating.Smooth shiny finish gives a sterling silver look. Engraved executive letter opener is great as an add-on or standalone unique corporate gift. 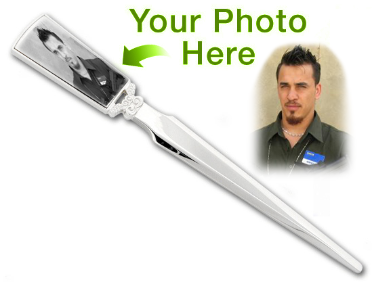 A great gift idea for someone your next employee giveaway, promotional event, or corporate event.